Blockchain and Cryptocurrencies are just like honeycomb to which all the big brands are getting attracted to. You talk about blockchain and investors keep running behind it. One such world-famous brand in the world of photography is Kodak. Kodak as a name is enough for photographers and they rely on it blindly. The news is, Kodak has announced its entry in Blockchain. Kodak has reportedly come up with another blockchain platform named KodakOne. It is said that KodakOne will feature a new token called KodakCoin. The news spread like a storm and the affect is clearly visible from the sky touching stocks of Kodak. According to reports, Kodak has joined hands with WENN Digital and will have its first Initial Coin Offering on 31st Jan 2018. If KodakCoin and KodakOne is a success it will be able to provide a totally secure and safe environment for the freelance photographers where there will be no fear of copyright violation. 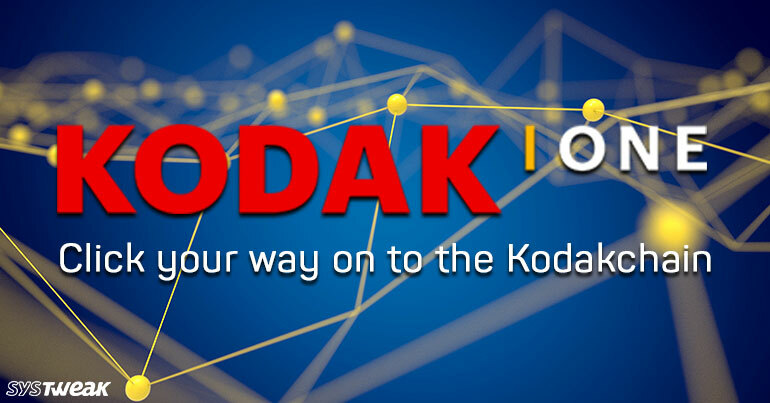 People who will have KodakCoin as tokens will be able to perform multiple tasks such as uploading, saving photos, manage picture copyrights etc. It is also assumed that Kodak is soon going to make its way in AI. AI is helping Kodak to scour the web for any random usage of images on the web, which are registered on its platform. KodakOne registers them all with built-in protection that provides an extra layer of security. Entering Blockchain, Kodak has laid down a perfect example of digital rights management. Digital rights violation has been in air from decades and if we combine Blockchain and AI they can easily eradicate it. Do you see any other sensible usage of token till date? we can’t!! We are still waiting for the in-depth information about the same till it gets released on the official website of Kodak.